the book was in good condition and I just love the little house books. 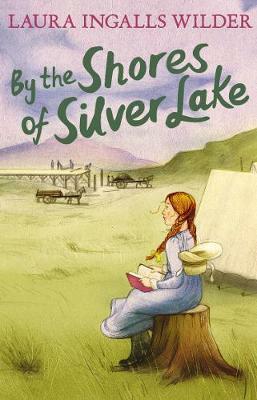 The wonderful story of young Laura Ingalls continues to unfold in this book. There are cousins to have horse adventures with, there are trains to ride on, and a whole town to build. The Ingalls are the very first settlers in the new town of De Smet. What a fun and joyous time in this family's life. "Little House" books are always a heartwarming read. Beautiful glimpse into the lives of our forefathers. Amazes me the amount of work they had to do to just make ends meet. Reminds me (and my 7-year-old) to be grateful for the life we have and for our simple chores. Well-written, full character exposition. I've been reading it to my daughter, who is 7. She loves fairies, pink, girly stuff, but she just LOVES this series. She won't even have me read her the fairy books until we are done!